There’s something about the environment around Grand Marais that makes me want to work in black & white. Maybe because there’s a lot of muted colors and mists rising off Lake Superior that I already think of it in a toned-down palette. The few times I’ve been there I’ve seen lots of cloud cover, so I don’t think of it as totally sunshiny. Or maybe the combination of everything about it lends to the gravitas that black & white brings. This isn’t my first B&W photo from there…though it’s apparently the first one I’ve put up here, which is kind of a mistake. It’s also apparently the first photo of the lighthouse I’ve posted here. Also a huge mistake. 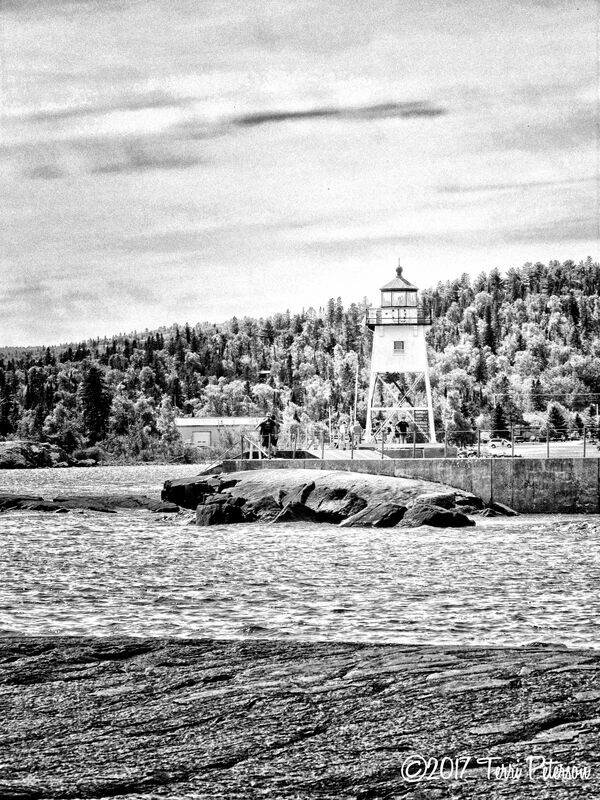 So here is the lighthouse at Grand Marais, in black & white, as it guards the shores of Lake Superior against…well, really, against Lake Superior. Since 1886!